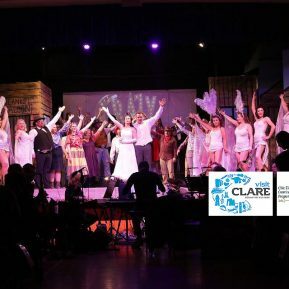 Don’t just visit the Burren – ‘Taste It’! 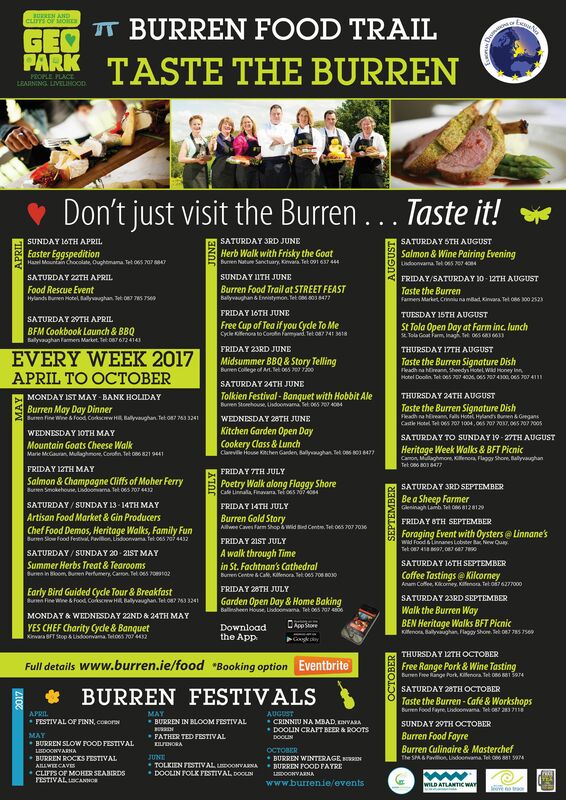 Below are some of the ‘Taste the Burren events happening this August. August 5th: Salmon & Wine Pairing Evening Event. 7pm. 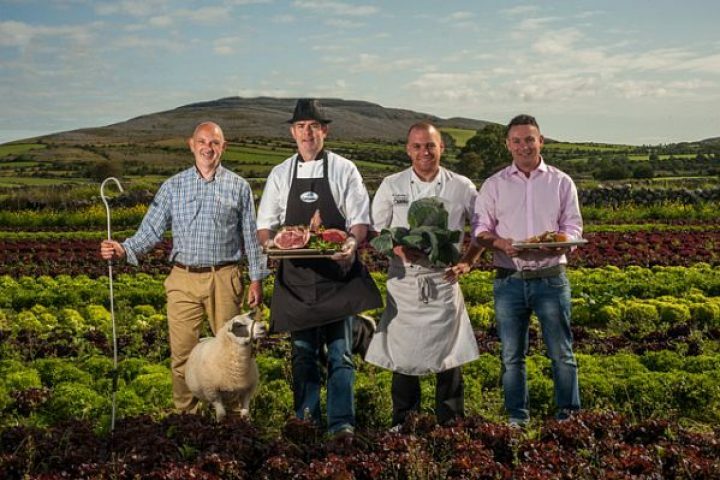 Learn how to pair Burren Smokehouse Organic Salmon products with a selection of fine wines. 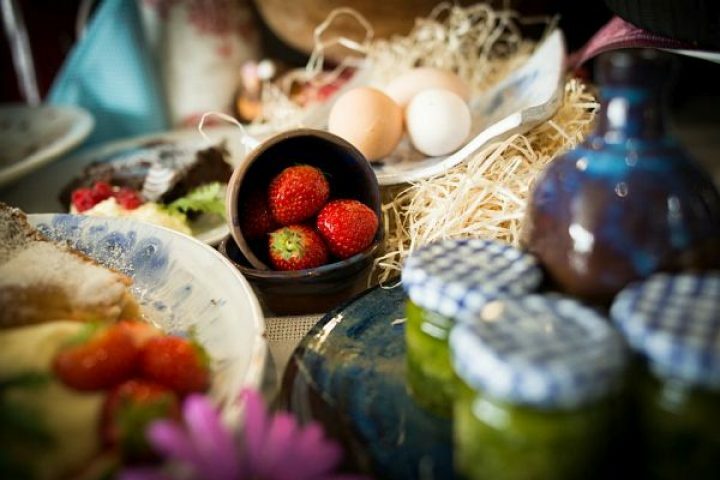 August 15th: St.Tola Open Day at Farm Event. 11am – 2pm. 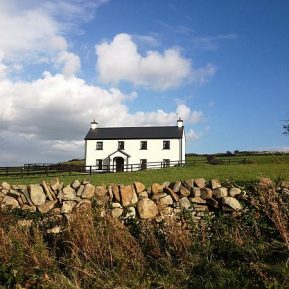 Cycling Tour to learn about St. Tola the saint, the St. Tola goat, followed by refreshments, chees tasting and farm tour. August 24th: Peace and Tranquility in the Glen. 10am – 1pm. A healing walk in a secret glen in Ennistymon, along the River Inagh. Lunch afterwards at the Falls Hotel. 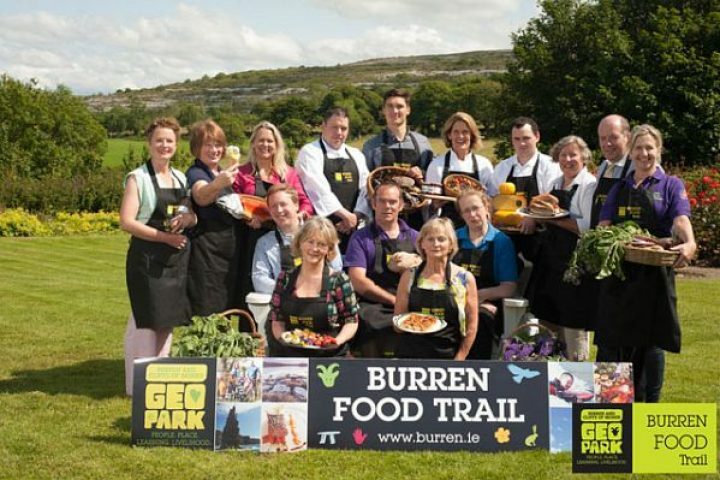 The members of the Burren Food Trail are bound by their commitment to building a sustainable future for the region. 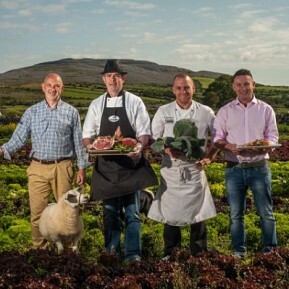 Each member has achieved recognised quality awards and standards, and has also signed up to the Burren Food Trail Customer Promise: you will find staff who are knowledgeable about the regional food story, menus which state the source of local produce, information on local food events and markets as well as a commitment to maximise the use of local ingredients in all prepared food. 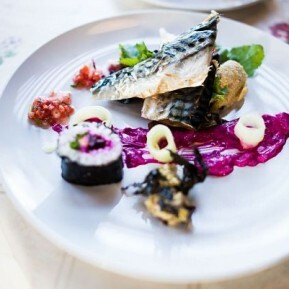 The Burren Food Trail is more than a listing of quality food establishments in the area – it aims to uncover for you the path that your food takes from field to plate. 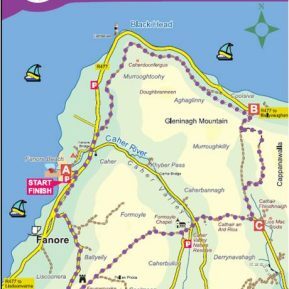 You can decide for yourself how to follow the trail – stop at every point or else dip in and out along the way, according to your taste, interest and location. 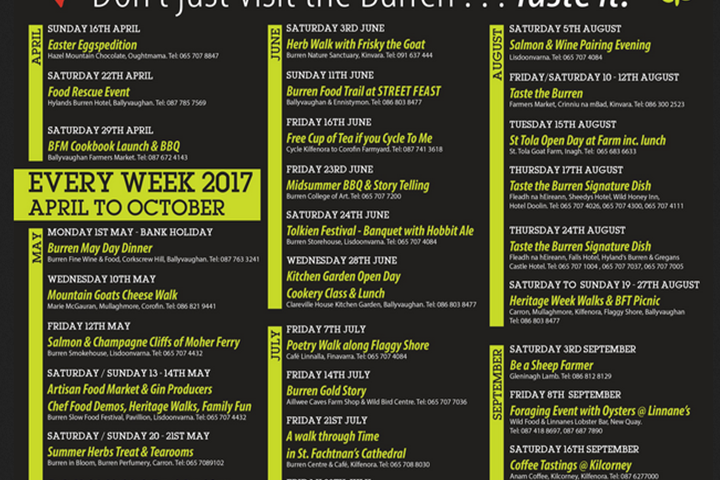 Download Full Programme of 2017 Food Events in the Burren.